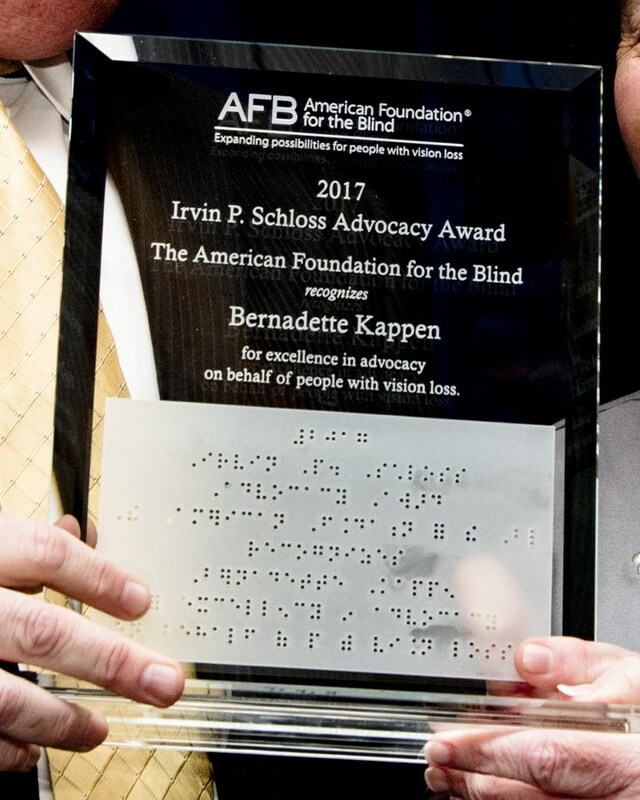 We are proud to announce that our Executive Director, Bernadette M. Kappen, Ph.D. will be receiving the prestigious Irving P. Schloss Advocacy Award from the American Foundation for the Blind (AFB) on March 3, 2017, at their annual Leadership Conference in Virginia. On February 15, the staff organized a surprise congratulatory assembly for Dr. Kappen honoring her Schloss award in the main gymnasium. 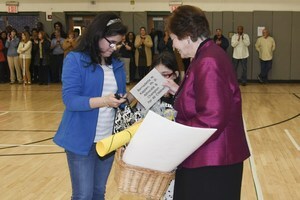 We managed to keep it a secret from her and she was greeted by a raucous crowd of students and staff. 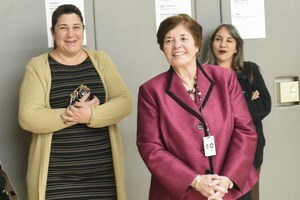 A short video was played with congratulations by a variety of staff and students. 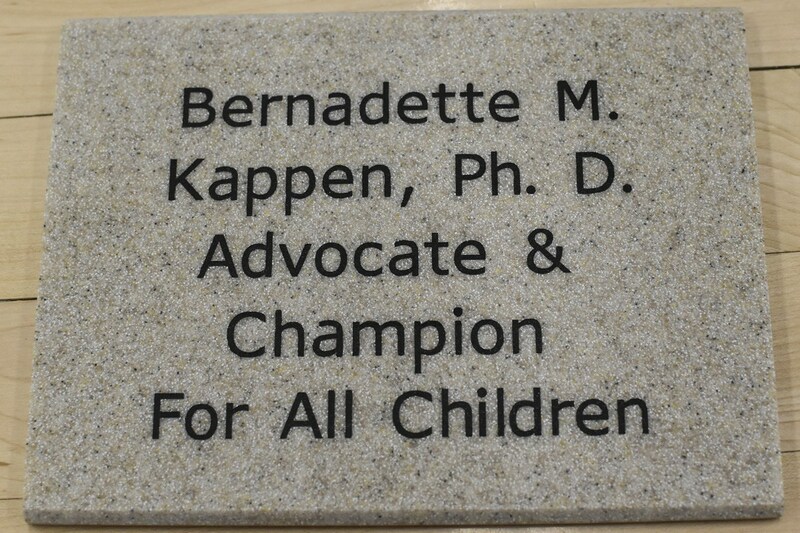 The students presented her a replica of the tribute stone that will be placed in the Wall of Tribute at the American Printing House for the Blind in Louisville, KY. 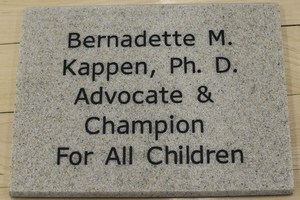 The Wall of Tribute, located in APH’s Hall of Fame, is made up of inscribed stones with accompanying braille labels placed beautifully detailed wooden columns. The Irving P. Schloss Advocacy Award recognizes Dr. Kappen 's tremendous legacy of advocacy work on behalf of individuals and children with vision loss, children with emotional and learning disabilities,as well as her international efforts supporting education of persons with deaf/blindness and the national support for the Alice Cogswell and Anne Sullivan Macy Act. 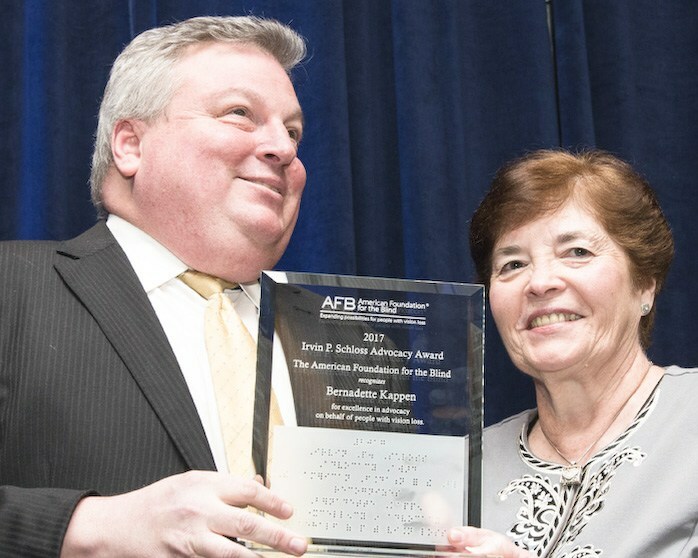 She has held Directorship positions at the Overbrook School for the Blind and The New York Institute for Special Education for over 45 years. 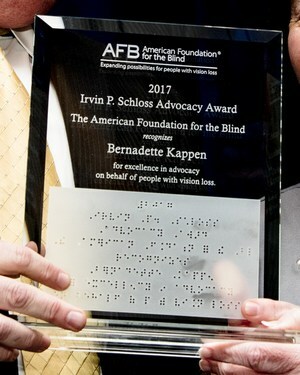 VisionServe Alliance, Deafblind International, The 4201 Schools Association, the International Council for Education of People with Visual Impairment, the American Printing House for the Blind and the Council of Schools for the Blind. She is on the Board of Trustees of Dominican College, her alma mater, helping the development of future educators in the field of blindness and visual impairment. 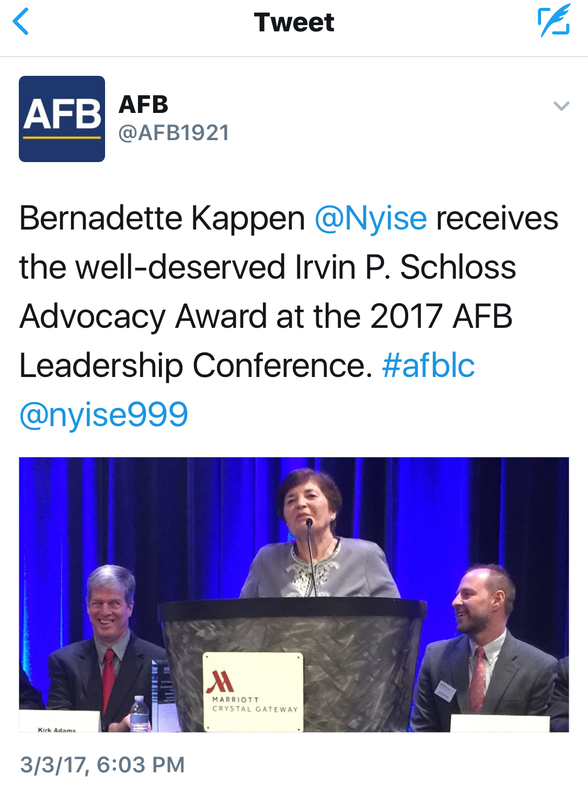 Here at NYISE, the staff and students are Excited and Proud of Dr. Kappen! The leadership and compassion she has brought the school is one that will last for generations !